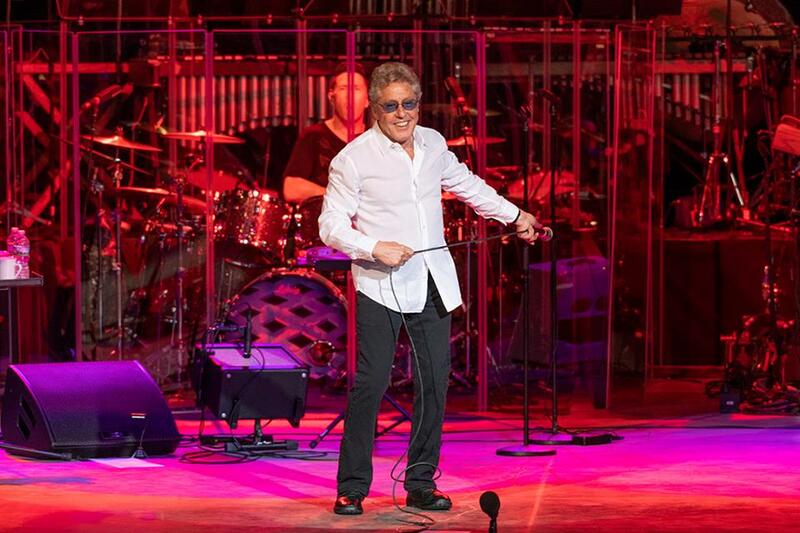 Roger Daltrey launched his symphonic “Tommy” tour of the US in Bethel, NY on June 8, and video from opening night is available online. Daltrey performed The Who’s 1969 rock opera in its entirety at the Bethel Woods Center For The Arts, where he was joined by members of The Who’s touring band and the Hudson Valley Philharmonic conducted by Keith Levinson. Daltrey’s month-long series of summer US shows sees the singer performing “Tommy” in its entirety alongside some of the most prestigious orchestras in the United States, including the Boston Pops, the New York Pops and the Nashville Symphony. The Who’s fourth album, “Tommy” reached No. 4 on the US Billboard 200 on its way to US sales of more than 2 million copies; the project was turned into a film starring Daltrey in the lead role in 1975, and has been presented in a variety of formats since, including a Broadway musical in the mid-1990s. Daltrey recently released his first solo album in 26 years, “As Long As I Have You”, which mixes originals alongside covers of songs by Stevie Wonder, Stephen Stills and Nick Cave.